An historical sketch of the beginnings of Calvinism. Calvinism creates turmoil. It has shaken theological minds since the Scriptures attest to it time and time again. Truly, Calvinism is simply a nickname for biblical Christianity. It has stirred countries such as Switzerland, Germany, France, Spain, England and America; the Reformation was a central and important turning-back point in history. The Calvinistic Reformation in England is not limited to the span of Calvin’s life; by no means. Other great “Calvinistic”, or Reformed, theologians have impacted England for hundreds of years; the Romans Catholic counteract had impelled them to do so since the formal Reformation of the church. To set a plausible time frame for the Reformation’s Calvinistic impact would be 1539-1625 A.D. It would be wise to mention that the English Puritan reformers which migrated to the Americas during colonization, also had an impact on the belief structure of England’s church; this would set the date farther ahead to the 1700’s. Calvin alluded to the English Reformation in a letter he had sent to a gentleman by the name of William Farel, dated March 15, 1539. In this letter he gives the following judgment of King Henry VIII, “The King is only half wise. He has mutilated and torn the Gospel as a church stuffed full as yet with many toys and trifles.” Though Henry was exalted for his defense of the seven sacraments and deemed Holy Defender of the faith, Calvin seemed to think he was doing injustice, for the King was only familiar with the teachings he had adapted from the Romans Catholic Church. With the succession of Edward IV Calvin began to exercise a direct influence upon the Anglican Church and the Reformation going on in their midst. Because Edward was only nine when he came to the throne, his mother’s brother, the duke of Somerset, was appointed regent. Positive action was taken by Somerset. Church services were to be in the common language instead of Latin. An Act of Uniformity in 1549 provided for a use of the book of Common Prayer. The second printing of this book was more Protestant and reflected the Calvinistic points of view in theology and church worship. In great fear the protestant nightmare came true and Queen Mary Tudor came to the throne. Her ambitions were not the same as her father’s, King Henry VIII; she wanted to reform the church back to Catholicism. She persecuted the Protestant churches severely and killed three hundred of those men who would oppose her; so as a result many fled to Switzerland, including Calvin, to find refuge. During the persecutions of Queen Mary, the Geneva Bible, translated by Theodore Beza and John Calvin, came into being and was the most popular Bible within the European countries even after the famous version of 1611 was introduced. The Protestant martyrs during the time of Bloody Mary compelled John Foxe to write his book, “Foxe’s Book of Martyrs” recounting the deaths of over one hundred martyrs. Foxe was convinced that the Roman Catholic Pope of the Counter reformation of Queen Mary was the Antichrist of Revelation and that this time of persecution for the Lollards of Wycliffe and the saints were under the attack of Satan who was now at loose for a time. The answer to victory, and prayer, came when the Queen Elizabeth came to the throne and the Elizabethan age began in 1558. During the reign of Queen Elizabeth, 1558-1603, Calvin’s theological influence reigned supreme and continued throughout the time of the seventeenth century. His work, Institutes of the Christian Religion, was revised six times during her reign and was widely used throughout the established church of England. It was used as a foundation to that younger generation which would succeed those theologians of the first Reformation (Schaff 818). The Forty two Articles, which had been drawn up shortly before Edward IV’s death, were restored as doctrinal affirmation of the Church of England; they were Calvinistic in perspective. They were revised to 39 Articles by Elizabeth in order that she may have more authority over what sanctions the church may have. As a result of the Reformation under Queen Elizabeth the English Bible was brought to the people. England became the champion of Protestantism in Europe and helped the Dutch and French Calvinistic Protestants against their Romans Catholic rulers. Queen Elizabeth did clean up the corruption, somewhat, in the English church, but it was not clean enough for the Puritans. Before Elizabeth ever came to the throne the Puritans were forming their company to purify the church, yet their impact did not appear until Elizabeth was on the throne. Under the leadership of William Ames’ and William Perkins’ interpretations of Calvinism, they had their greatest influence at Cambridge which they deemed their headquarters. In 1593, Elizabeth passed an act against the Puritans in order to restrain them; they had to attend Anglican Church or become imprisoned by the decree. This worked for some time until other sects emerged from the Puritans and they began to grow in number (though this was after Elizabeth’s death.). Throughout Elizabeth’s reign and into Kings James’ reign heretics were burned at the stake (Their greatest adversary was the doctrine known as Arminianism; the name comes from Professor Jacob Harmensz; Latin for Harmensz is Arminian, thus, Jacob Arminius. Arminius was the ambassador of Whiteman who was executed.). A Synod was held at Dordtrecht and there the opponents of Arminianism and Calvinism battled it out. Whiteman addressed the crowd for Arminianism and stated their case. The victor was the orthodox Calvinistic theology. Summing up the council of Dort, the acrostic TULIP was formed stating a basic premise of the theology of Calvin; Total depravity, Unconditional election, Limited atonement, Irresistible grace, and Perseverance of the saints. Thus in orthodox Calvinism the sovereignty of God was reasserted against the free will of man. Charles I gained the throne after James I died. Charles held to Arminianism, not because it was a better theology, but because William Laud convinced him that it would offer a suitable inspiration for a working partnership of kings and priests against Puritan troublemakers. To believe a free will as a theological theory meant to accept the King’s will in practice. 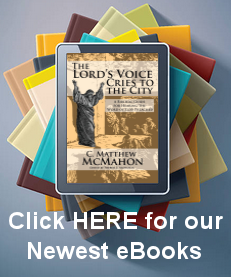 Calvin, being one of the radicals of the faith, devastated the old order of Catholicism. He challenged traditional roles, authorities, popes, councils, ecclesiastical customs, the role of the clergy over the laity, it’s hierarchy, the validity of the canon law, dogmas about purgatory, the sacrifice of the mass and all it’s related practices and other Medieval practices. He challenged the whole system of man’s contribution to salvation. As a result, the Word of God and Christ became the central focus in the theological interpretation of the Bible with the new emphasis on the promises of God and the benefits of Christ (Spitz 349). It is easy to see the impact which the Calvinistic doctrine had on England and it’s surrounding countries as well. Calvin’s theology has not only affected the thoughts of sixteenth century England but also of the modern world as well. His theology was carried along to this country with the Puritans and Reformers giving doctrinal orthodoxy reign in this country as well. 1. In modern America those who hold to “free will theology” squirm at the thought of even considering the Calvinistic perspective. Arminians by-pass the “Calvinistic scriptures” in order to hold their theology together. The main problem arises when one seeks to term this theology Calvinistic instead of Biblical. The Arminian is taught to reject the findings of Calvinistic (Biblical) doctrines because they were brought up that way and the pastor said that it was so. This writer has personally talked to many Arminians, including scholars, and has yet to find suitable scriptures to support their theology; the Arminian theology as a whole is full of large theological pot-holes which are held for the sake of convenience. 3. The TULIP doctrine of Calvinism is not a comprehensive look at the doctrine. Calvinism is often seen as the five-point doctrine but this is a common misconception. Calvinism is hundreds of points which come together in a unified whole. TULIP is only a very brief, basic, look at Calvinism and an easy way to remember it. Sometimes people will say they are a three point Calvinist or a four point Calvinist, but this cannot be so. Calvinism as a whole cannot be broken down into separate parts just because that person doesn’t feel that he\she cannot cope with a certain perspective. Three and four point Calvinists are simply confused Arminians. 4. The Synod of Dort is not the only council which condemned Arminianism. Throughout the entirety of church history, at each council, synod or diet, one can find that one of the Arminian doctrines, or the whole system of Arminianism has been condemned at one time or another. Only since the birth of the Charismatic movements of Wesley, Pentecostals and Neo-Pentecostals have the Arminian heresy come to life again. 5. Calvin’s theology is not a unique theology; Calvin did not create this theology single-handed. It is only a rehashing of the teachings of Augustine of Hippo and the Apostle Paul, not to mention the rest of the Biblical authors. His theology is a systematic approach to the promise, covenant, and providence teachings of the grace of God found throughout the Scriptures. Cairns, Earle E. Christianity Through the Centuries. Grand Rapids: Zondervan, 1981. Edwards, David L. Christian England. Grand Rapids: Eerdman’s Publishing Co., 1983. Estep, William R. Renaissance Reformation. Grand Rapids: Eerdman’s Publishing Co., 1986. Schaff, Philip. History of the Christian Church Volume 7. Grand Rapids: Eerdman’s Publishing Co., 1950.